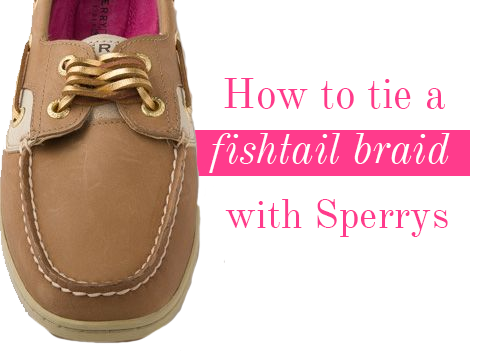 How To: Tie a Fishtail Braid on Sperrys! | The Preppy Scientist: How To: Tie a Fishtail Braid on Sperrys! Woah this looks so cool! I love this idea and am going to attempt it on my Sperrys tomorrow! Thanks for sharing! Looks like something I can apply to my athletic shoes! Cool idea! how lovely! they look amazing! i have to try it!